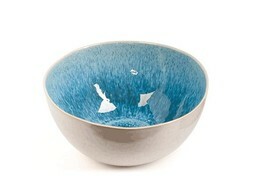 Serve guests in design with this Dôme Déco bowl - small. 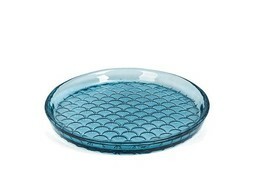 Made from stoneware, this plate is ideal for diner and creates an equally stylish setting left empty as a decorative piece. 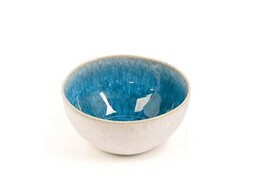 Thanks to the baking proces, the blue has a wonderfull, natural patern made within the bowl. Team with matching pieces available separately to coordinate the look.